For many people their garage is the one place that protects their investment of not only vehicles, but also sports equipment and other items. Your garage door is a very important factor in helping to keep your investments secure and protected from the environment. When you get new windows and doors installed it is the perfect time to upgrade and replace your old garage door to improve curb appeal, security, and the overall look of your home. We sell and install new garage doors in Orange County, LA County, and the Inland Empire area. Have a look at some of the images below of styles we offer. Contact us if you are thinking of replacing your garage door. 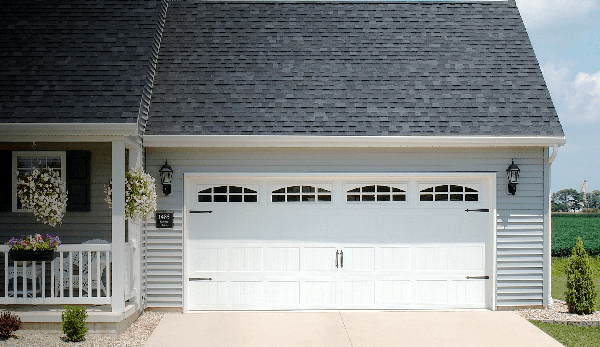 When you replace your garage door and match the style of your home, it usually provides a good ROI for homeowners and property owners in Orange County and surrounding areas. We help our clients determine which type of garage door best suits their home architecture, needs, and budget. In addition, we haul away and dispose of your old door(s) during the installation process. Many styles are available whether you need a new single car, double-car, or a three-car garage door. A New View is a C.H.I. Overhead Doors authorized seller in Orange County. We provide professional installation of many designs and styles. For instance, modern and contemporary, traditional, and high-end rustic looking carriage styles. As well as recessed and raised panel designs with and without glass window panels. Stop by our showroom in Anaheim. Feel free to contact our professional staff at A New View Windows and Doors for a free quote today. Call (714) 953-7663 or use the request a quote form below. Enter Answer 11+7=? (required) to help prove you are human, not a computer bot. Thanks. Improve the curb appeal of your home.